Medinah Primary School and Intermediate School students have been hard at work. Kindergarten registration took place on March 7th. If you have a kindergartener who will be attending Primary School next year, or know of a kindergarten or first grade student who will enroll at MPS for the first time next year, please call the school office at 630-529-9788. Second grade students at Primary School will be taking the InView Test t April 9th. We know the students will do a great job! Throughout the past few months, the staff and students at Medinah Intermediate and Middle School have been preparing for the upcoming Illinois Assessment of Readiness Assessment(IAR) for grades 3-12, which will take place after Spring Break. The teachers and students have and will continue to focus on their learning goals, as well as practice Reading and Math sample test questions. Practice test questions are available to access at home at https://parcc.pearson.com/practice-tests/. IAR Assessments will take place for grades 3-5 the week of April 8th through April 12th. The students will complete one assessment a day including two ELA and three Math Assessments. Please help in ensuring the students get plenty of rest, eat breakfast and arrive to school on time. Thanks to our amazing PTO and our community for all of our fundraisers and events that support our school. Bingo night was a hit and we all had a great time! It was so nice to be able to see families together enjoying their time in our schools! IXL is a great resource for students to use at home to practice math. Click on the following link to learn about how to access IXL. informational video about how to access IXL. We also encourage students to read nightly! One resource available to students is Raz Kids. Click here to see a tutorial! If you have any questions on how to access either of these accounts, please contact your child’s teacher. 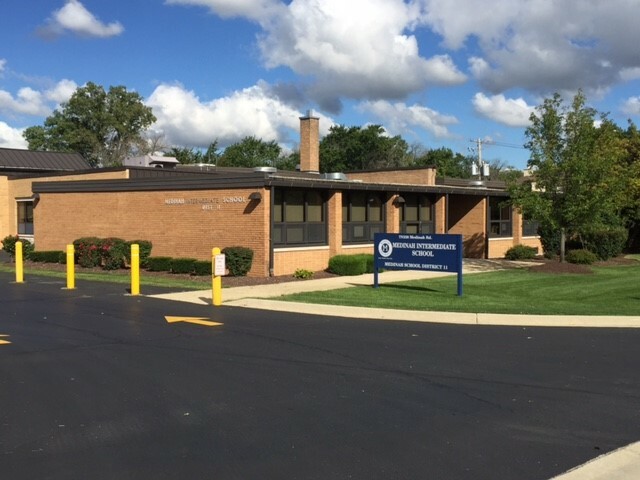 Medinah School District 11 and the three schools use Constant Contact to send eNews to the parents' email addresses that were provided during registration. If you would like to receive these eNew deliveries, please click on the Constant Contact logo and take one minute to provide some information. Medinah School District 11 is using a new and more convenient service for paying school fees and funding student lunch accounts called PushCoin. IF YOU HAVE NOT CREATED A PUSHCOIN ACCOUNT YET, follow these steps to create and link your parent account to your student.